Located midway on the Greenwich Street corridor in San Francisco's Cow Hollow is a gem of a shop named Greenwich Yarn. The street itself is a great example of the urban term "mixed use." The blocks along Greenwich are dotted with charming restaurants, old-time taverns, mid-century motels, quaint corner markets, well stocked liquor stores and tranquil yoga studios. All of these service oriented businesses co-habitat with stoic, multi-million dollar apartment buildings, stacked flats and single family Victorians. The street handles the overflow for parking and walking from Union, Filbert and Lombard streets. Pedestrians on Greenwich are usually texting and on their way to somewhere else. Locals beep open and zoom into their garages, then use interior staircases to gain access to their cherished havens. Children play hopscotch on their way to and from school. Tourists stand on the corners twirling around in an attempt to remember which way they were told to go in order to get to one place or another. And all the while, the groups at Greenwich Yarn continues to knit away. Greenwich Yarn is a practical place with its own unique culture. The daily groups gathered around the communal knitting table may change from time to time, yet in some ways they remain the same and have done so for over 25 years under the supervision of Laurie, the shop owner. No matter what is going on outside, life goes on at Greenwich Yarn. Its a cozy spot with a generous amount of ambiance tossed into the flux that represents talent, tradition, integrity, sincerity and serenity. 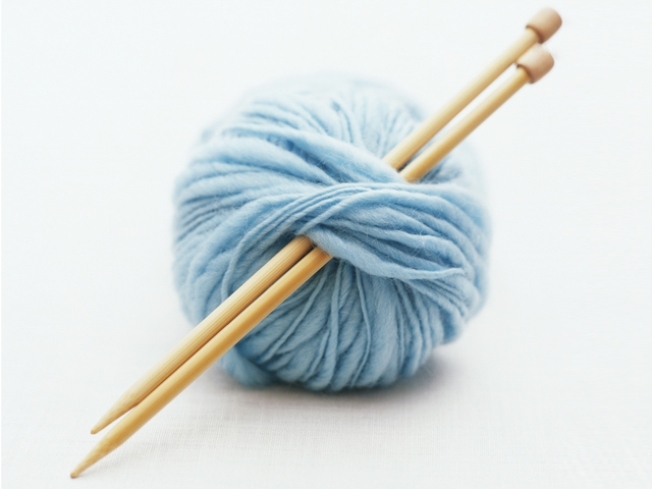 Knitters create and combine and tell stories of life experiences. They knit and purl all the while supporting, encouraging and admiring their knit-mates. The selection of yarns is impressive with skeins of chenille lined up next to cottons and wools. The skeins of yarn unwind and twist in unison as they weave, knot and bind into scarves, sweaters, caps and yes, texting gloves. These knitters at Greenwich Yarn are a dependable group. There’s a welcome mat at the doorway and its sincere. So if you yearn to learn how to knit or crochet, stop in, Laurie will teach you and the knitters will greet you.